In anticipation of our trip, I've put together some outfits inspired by some of my favorite Disney characters. 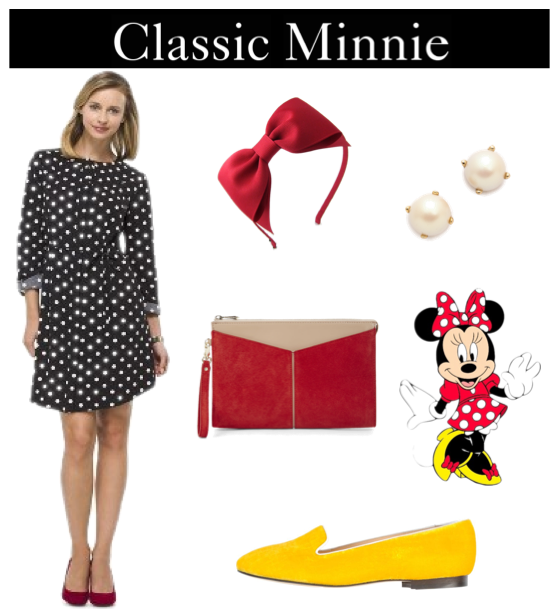 First up on my list is the classic Minnie Mouse. It wouldn't be right not to consider her polka dots and bow for an outfit to the Happiest Place on Earth!